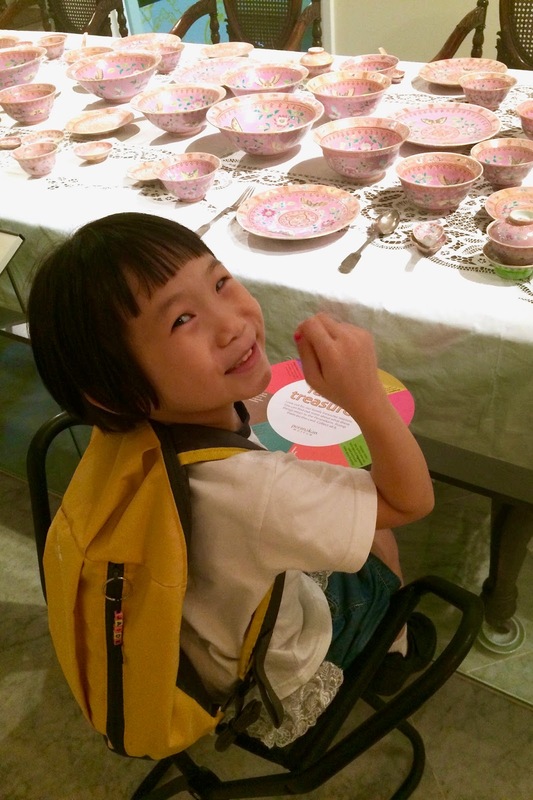 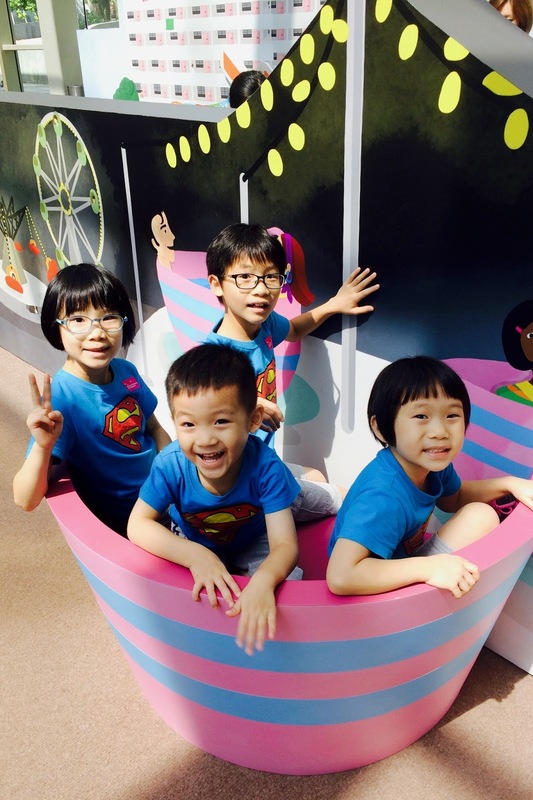 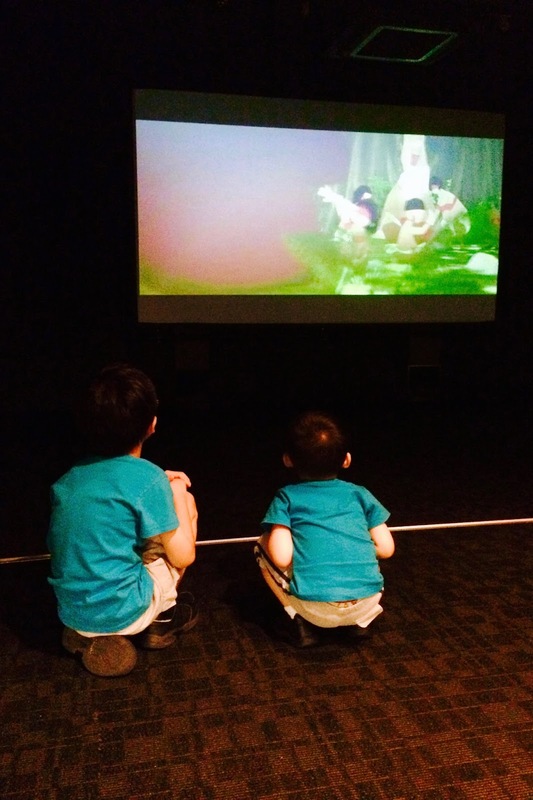 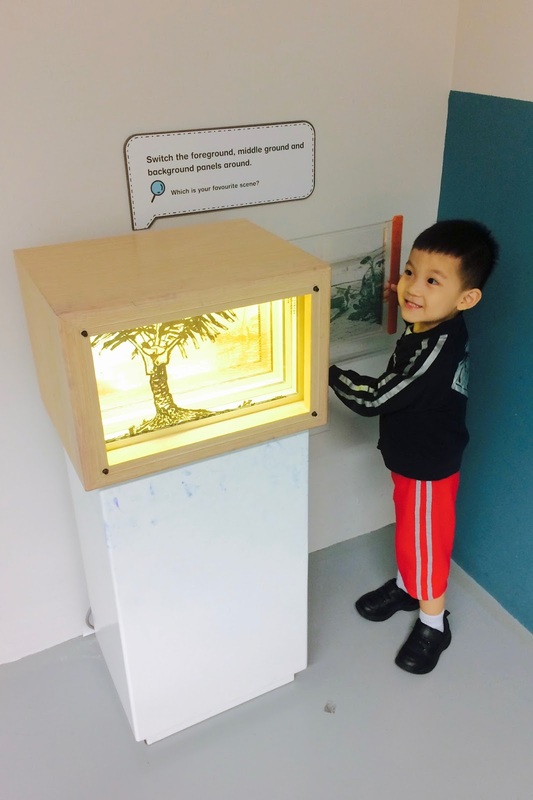 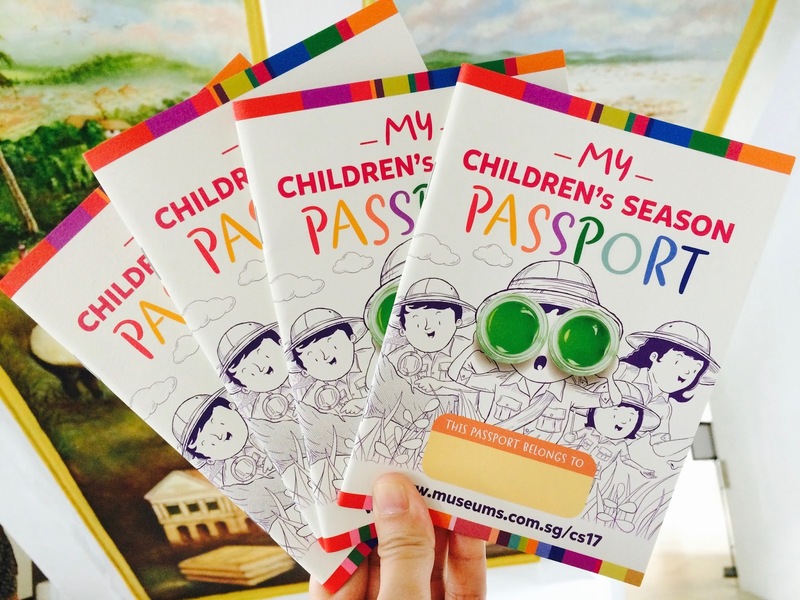 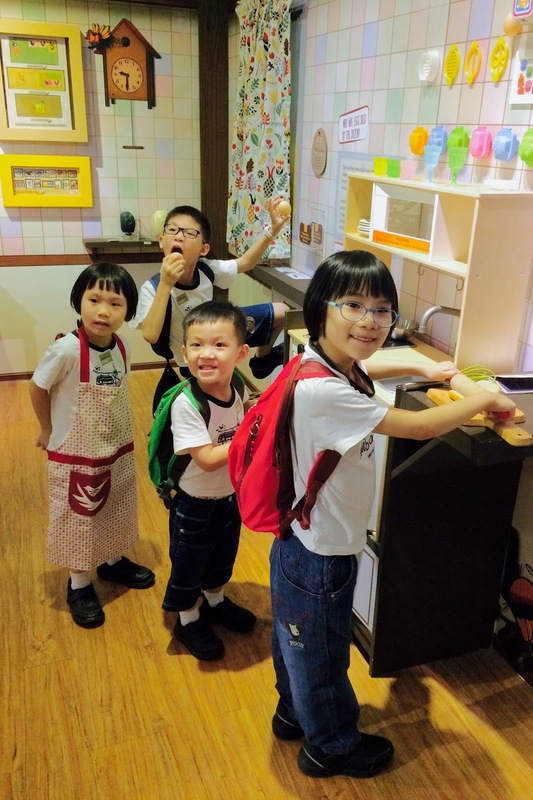 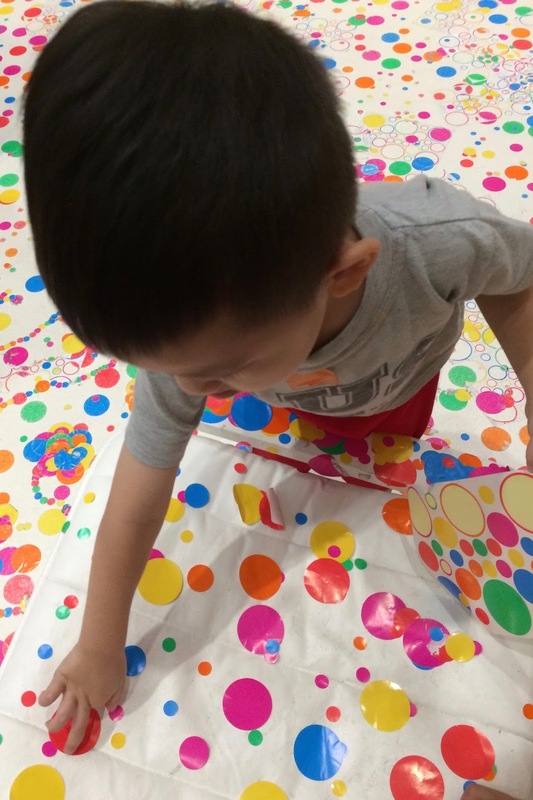 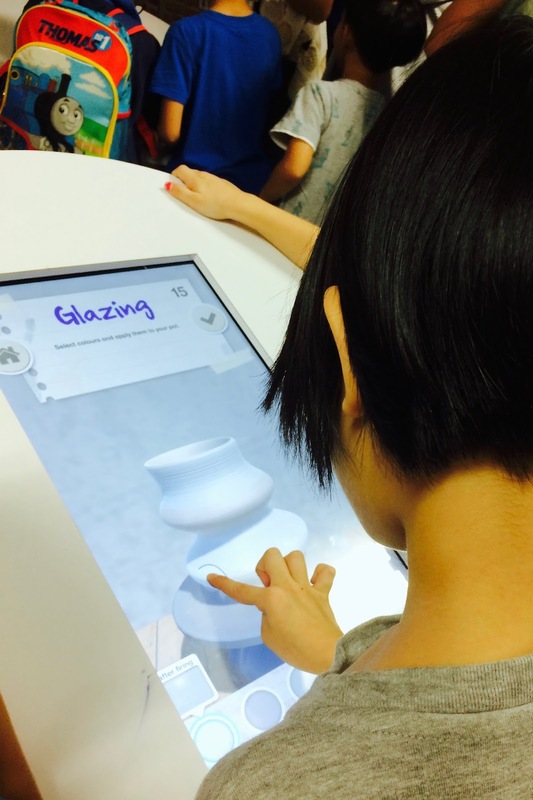 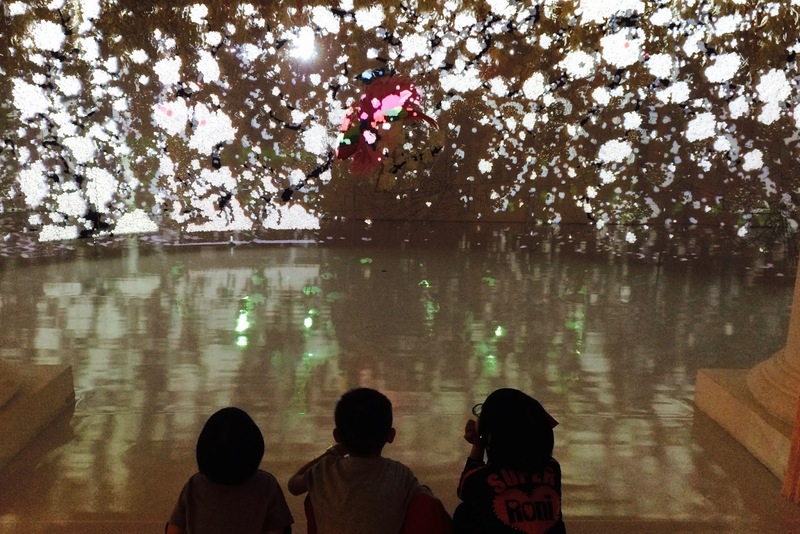 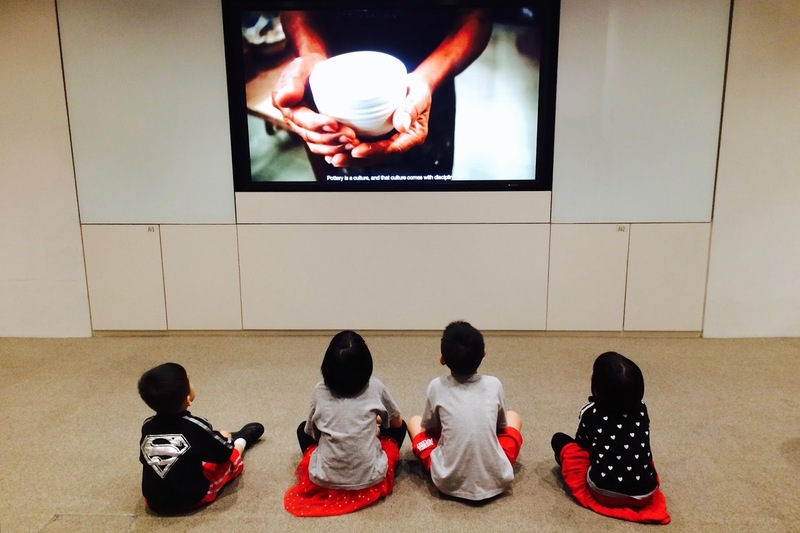 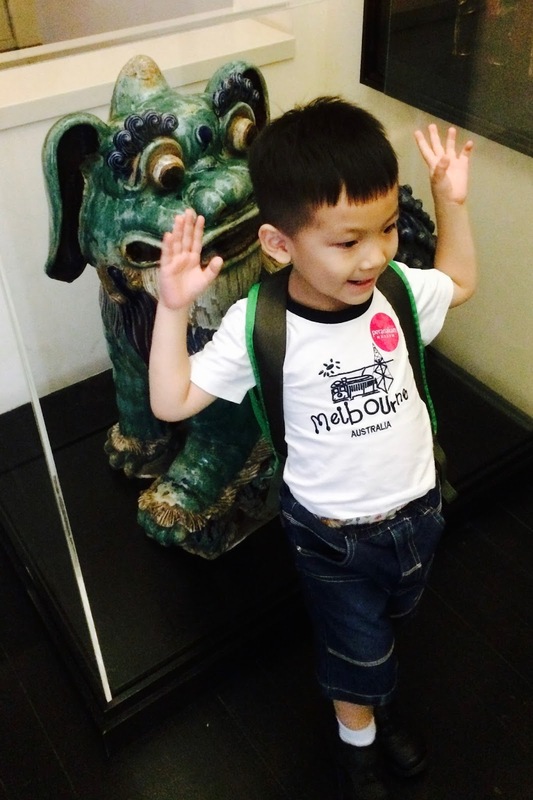 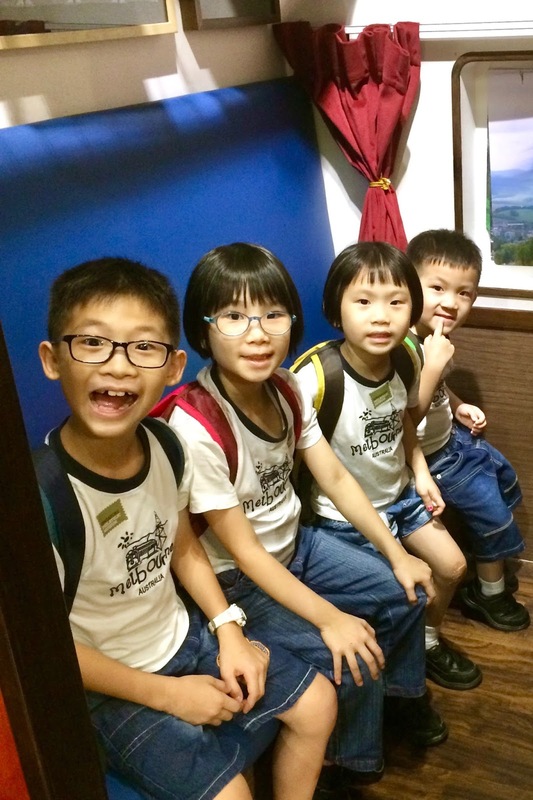 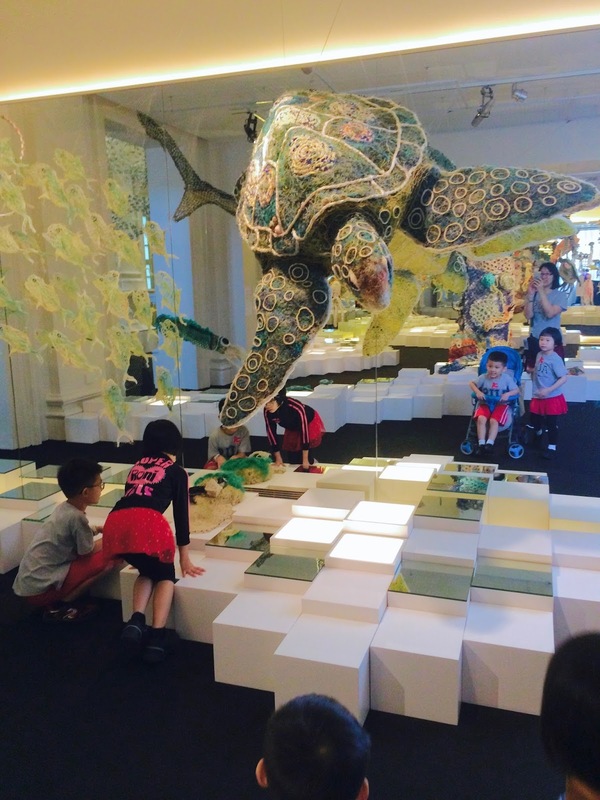 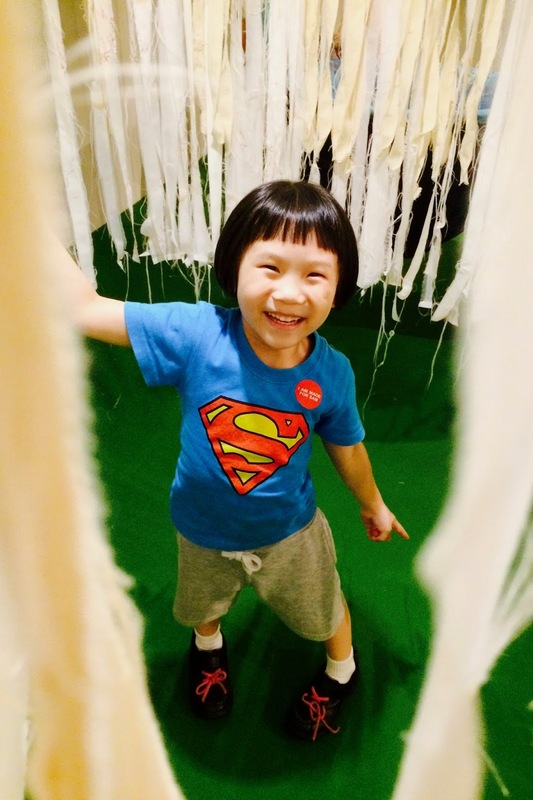 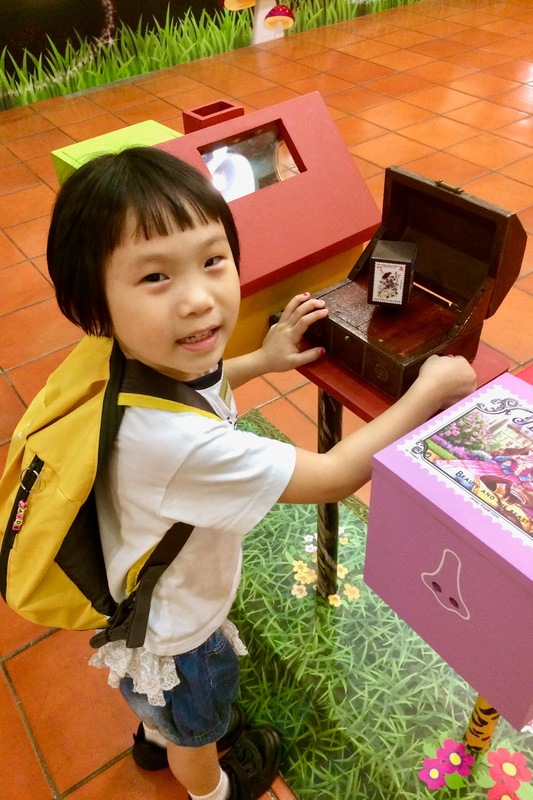 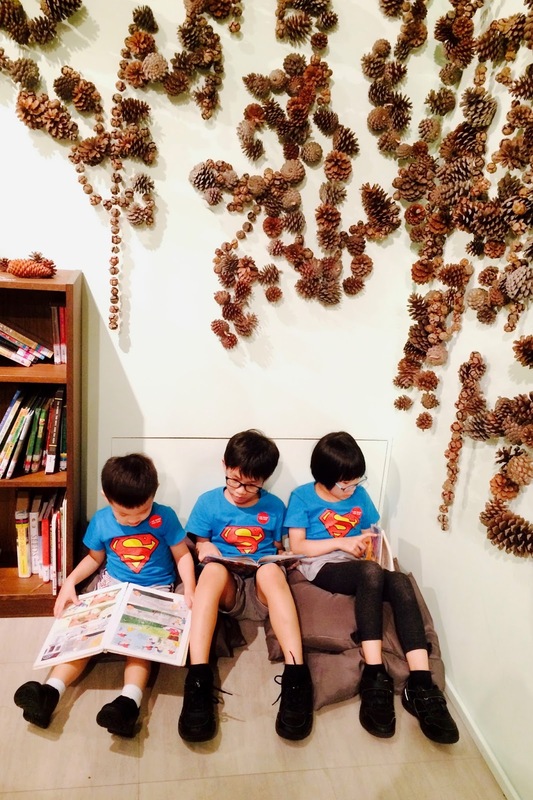 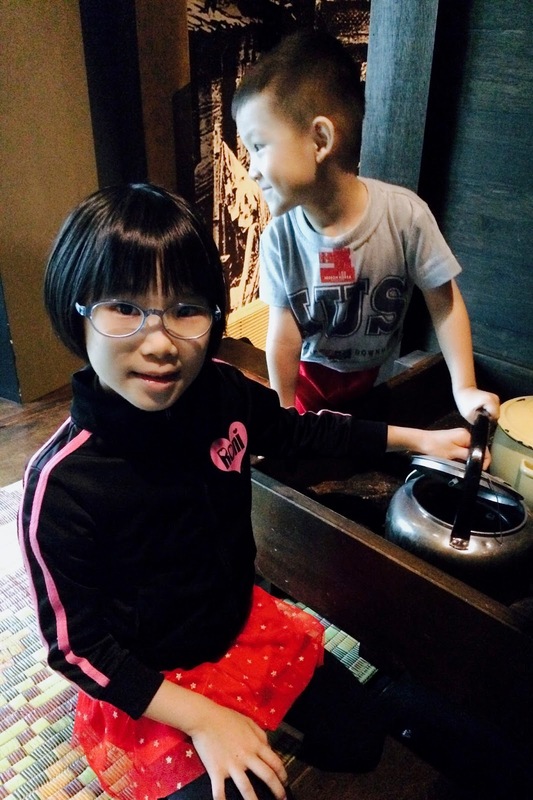 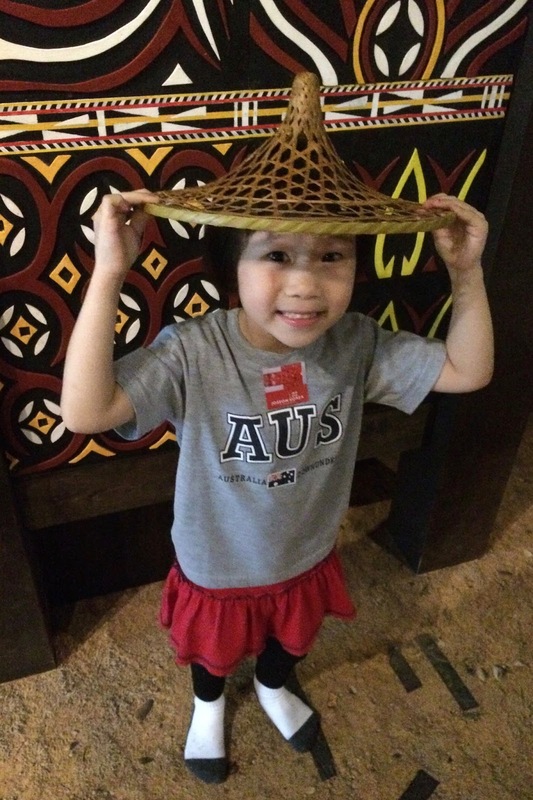 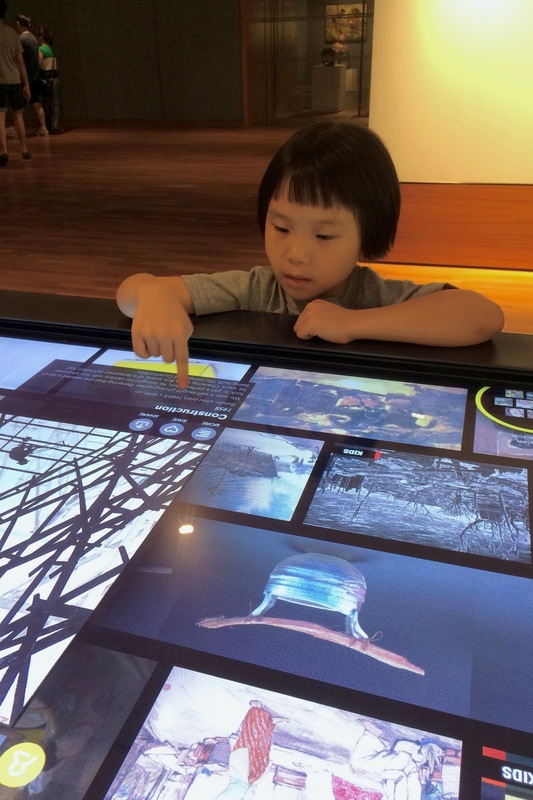 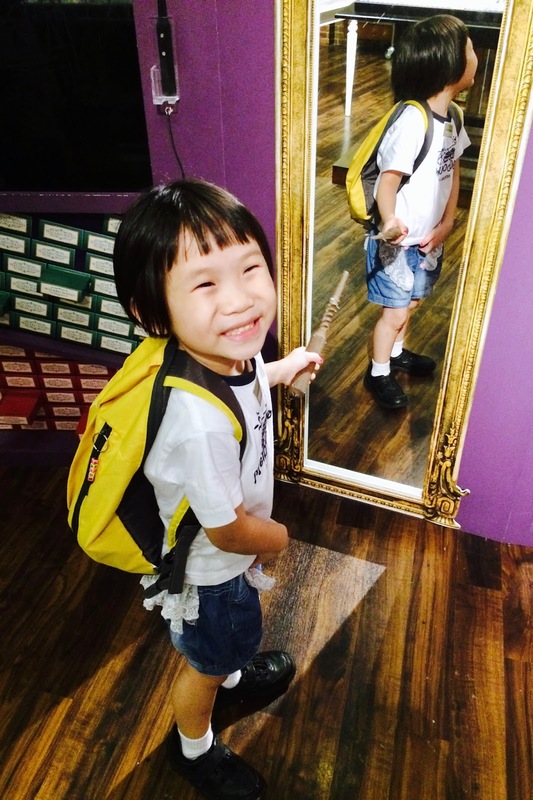 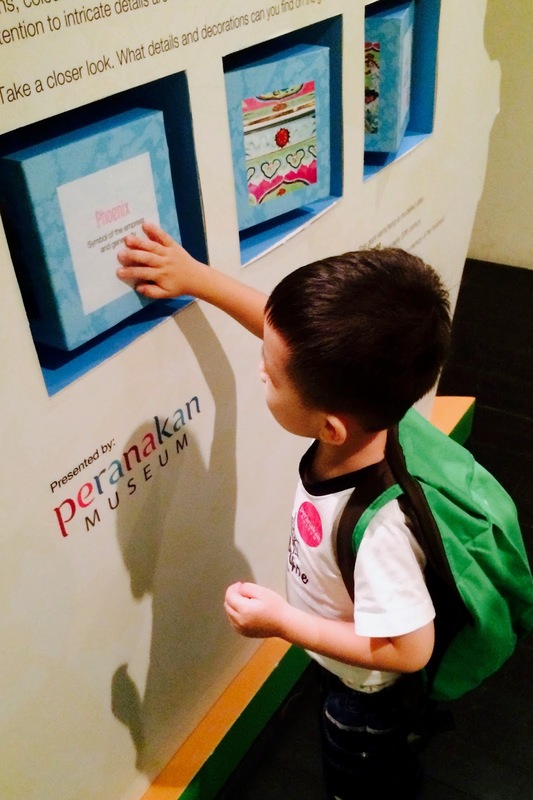 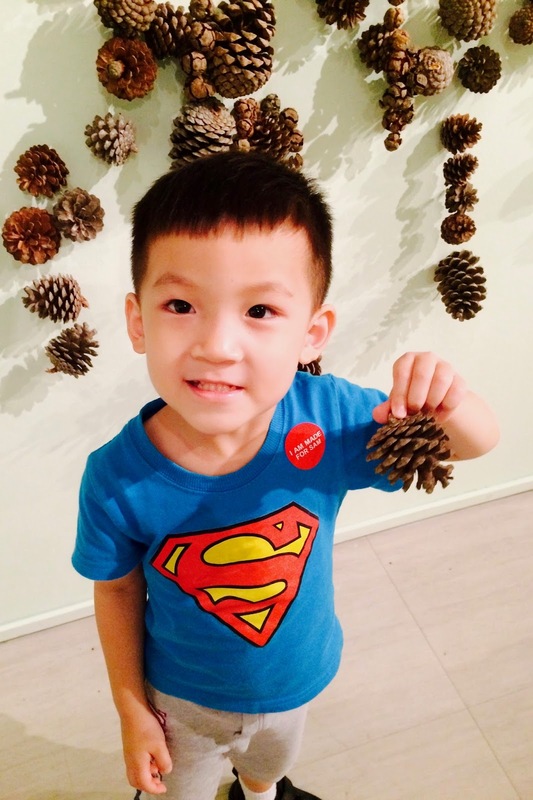 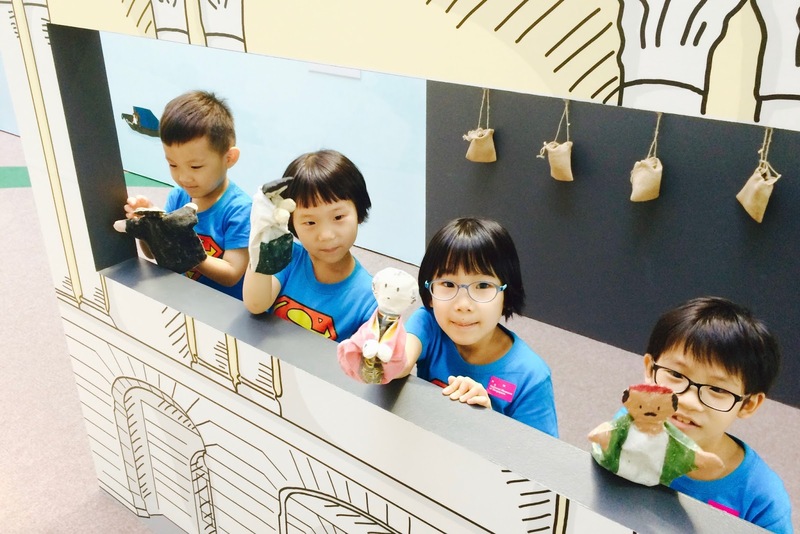 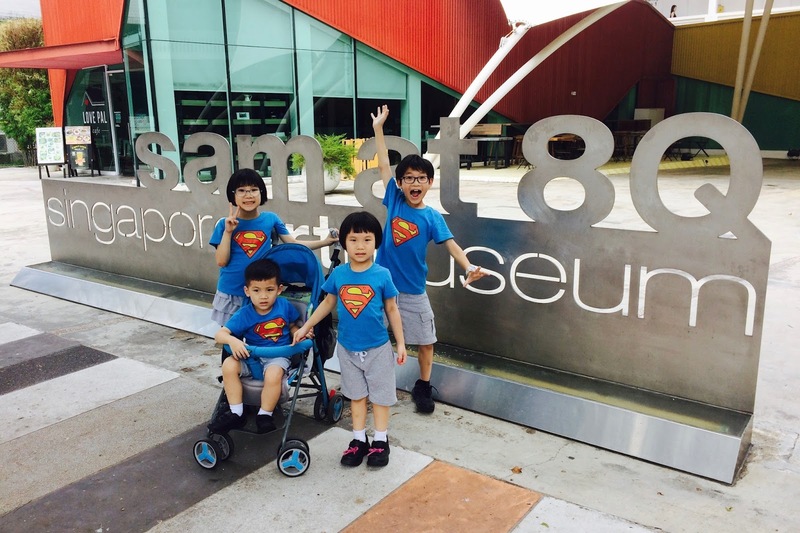 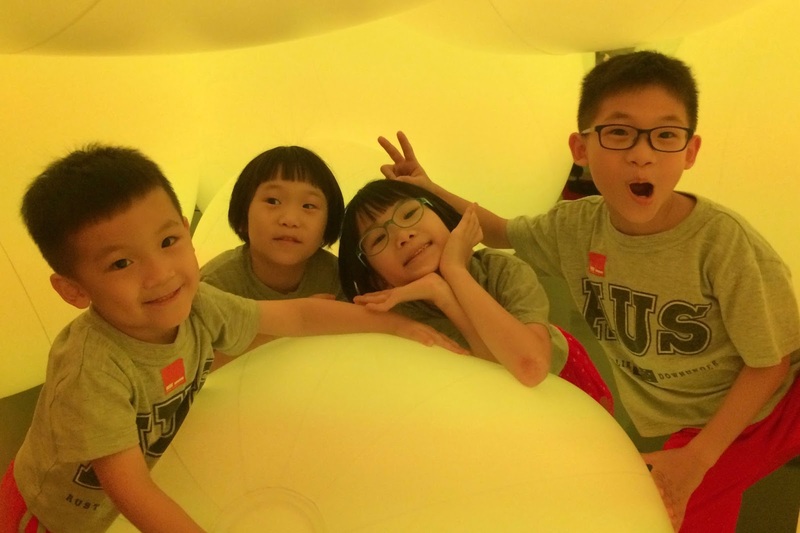 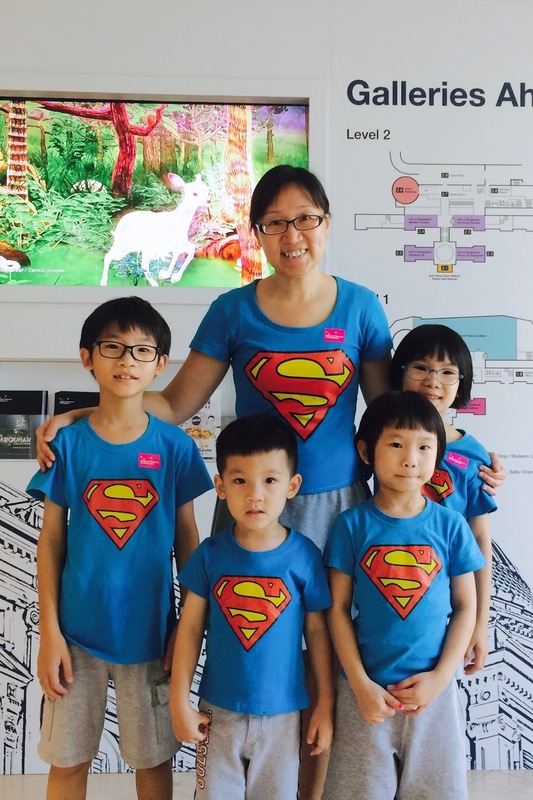 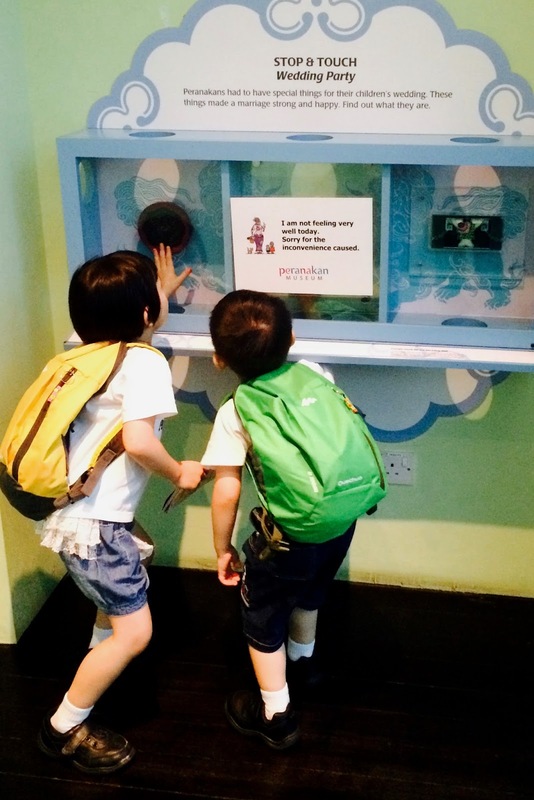 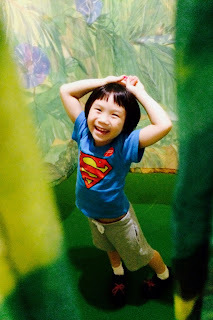 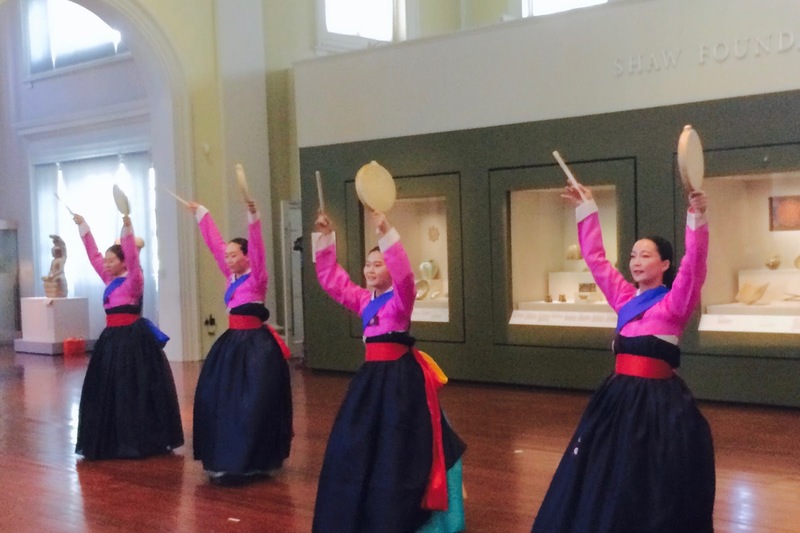 The museums in Singapore collaborated to create a Children's Season for the June holidays. The passport lists down all the available museums in a single booklet which is really helpful for us parents in organising meaningful and FOC/affordable outings for our kids. With this wonderful tool in hand, we went museum-hopping this week. 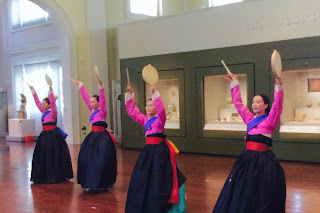 First up, we went to the National Museum with some of our CG friends. The kids were excited to make a postcard and send it to themselves. 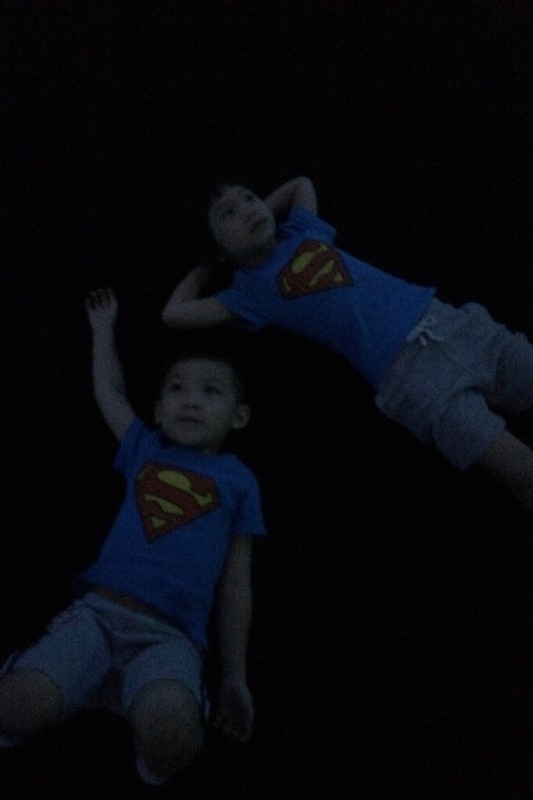 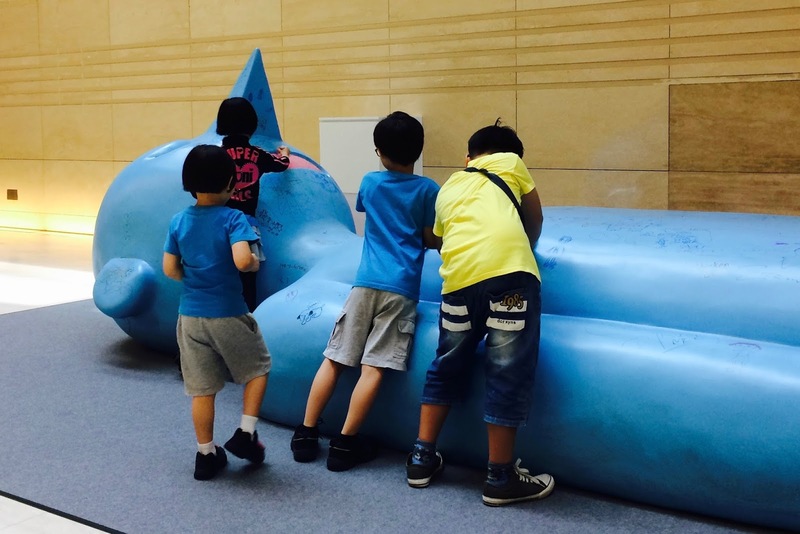 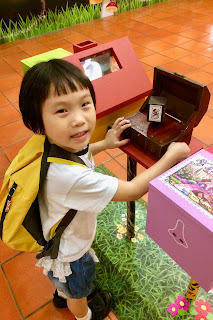 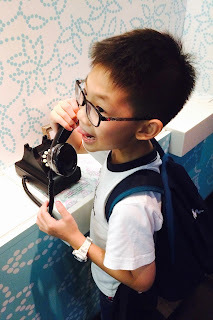 There was a cute muppet theatre for the kids to role-play at, a Singapore History Gallery and even a snoring blue giant at the basement to draw on. 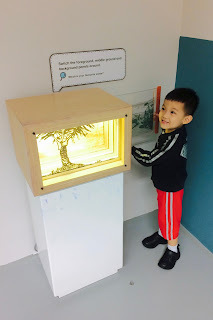 But my children's favourite part was the Story of the Forest which gave us a virtual hike through the psychedelic forest experience. 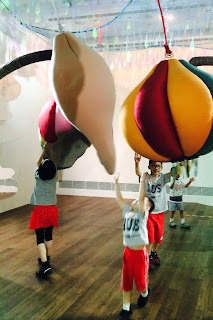 Next, we visited the nearby Singapore Art Museum at 8Q for the Imaginarium. 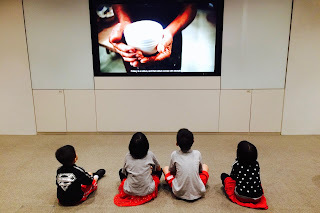 The children found the short films at the Moving Image Gallery too cryptic and kept asking me what they were all about. Hahaha... The exhibitions were rather abstract too and the kids ended up reading instead at the room with pine cones. 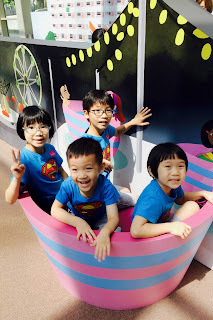 They did, however, enjoy the "Floating Mountain" due to the egg carton craft there and the "Wanderland" with all the hanging displays where they played hide and seek, much to my horror. 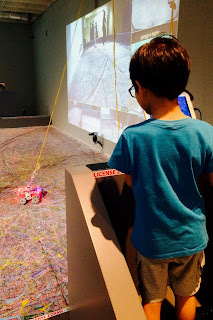 *nervous laugh* The "Licence2Draw" was inherently attractive to the kids but only one person could control the robot at a time so the queuing was tedious. 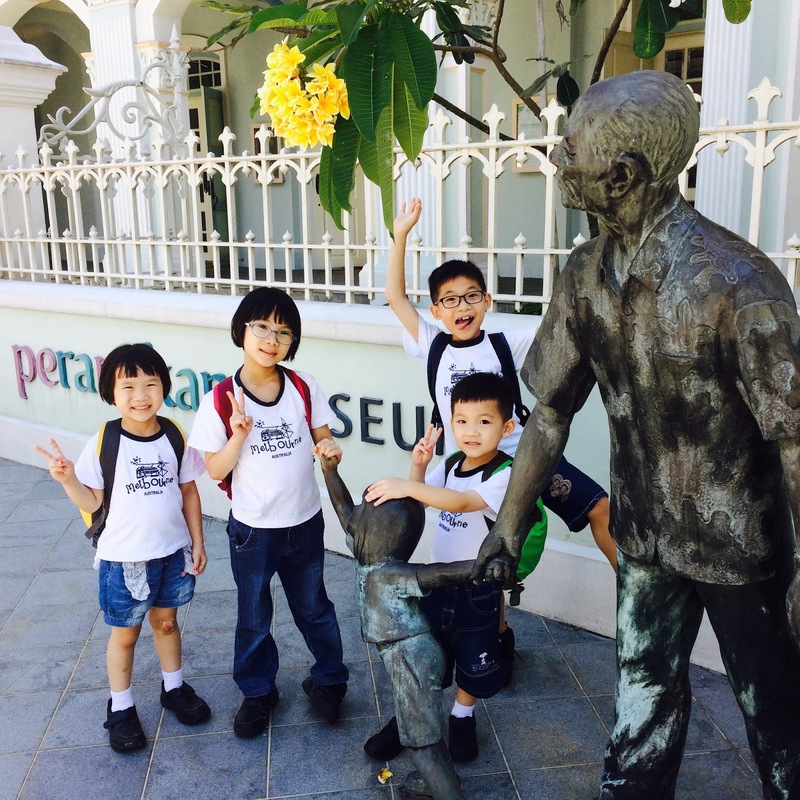 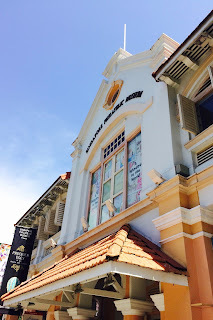 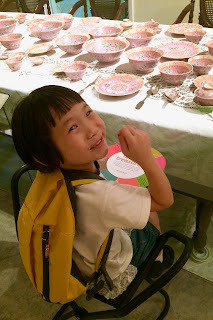 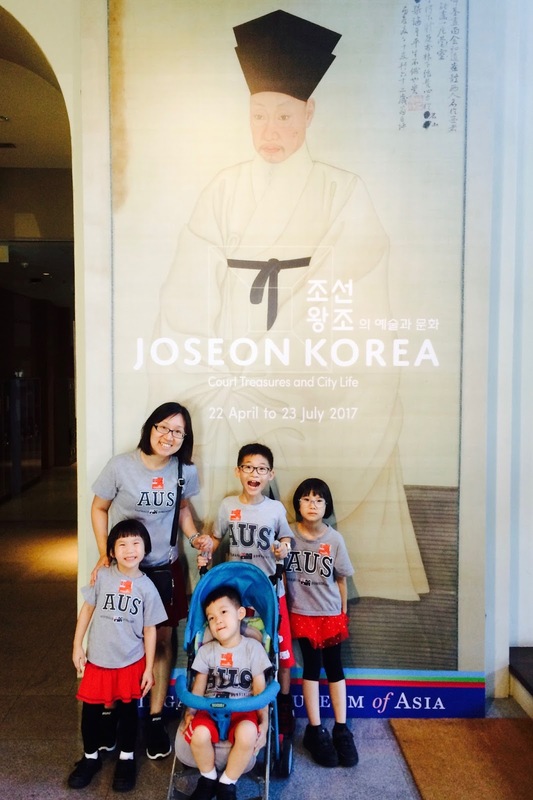 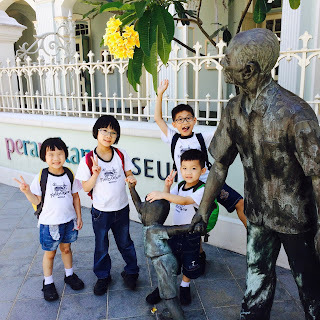 We have never visited the Peranakan Museum before so I was quite worried the kids cannot appreciate the place and will grow bored easily. But thanks to the activity sheet which requires them to emboss different designs significant to the culture on a disk from stations all over the museum, the kids were very excited to complete the job. 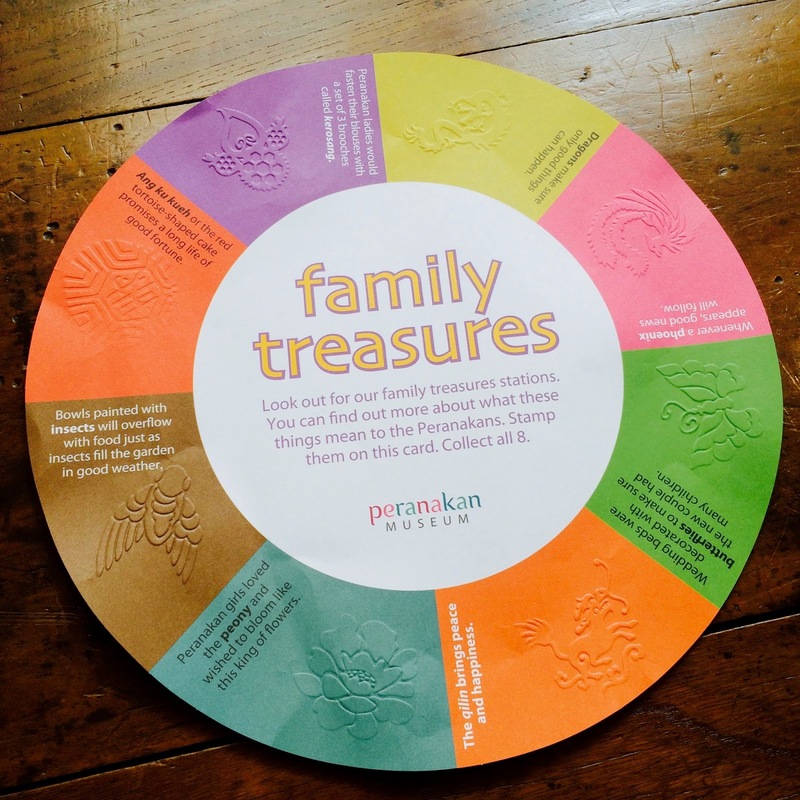 On the way to each station, I could interest them in a few meaningful activities to appreciate the nonya designs. The children loved this place very much. 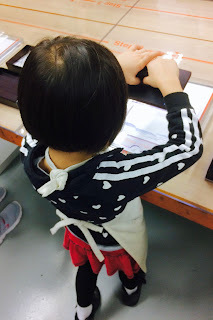 There were many new things since our last visit. 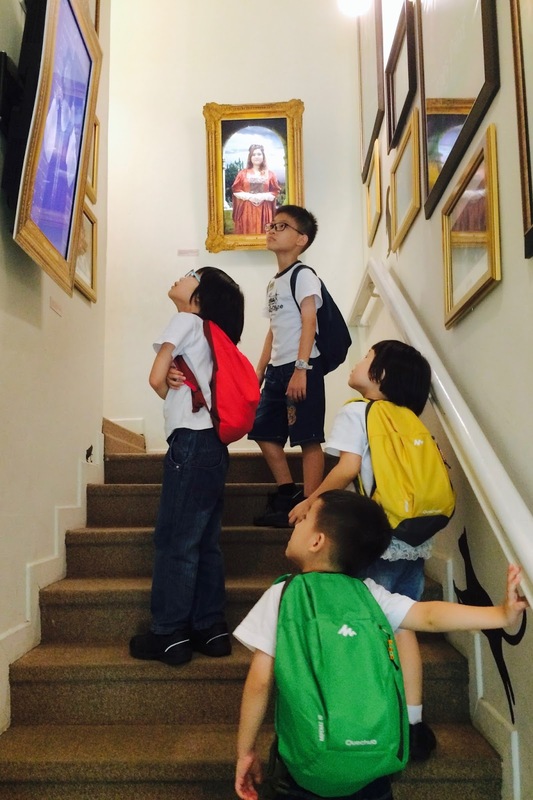 They exclaimed "Wow!" 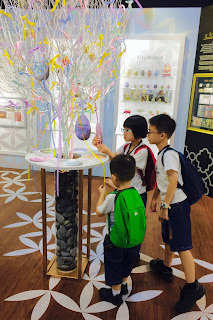 in unison when they entered the beautiful room with lovely egg art. 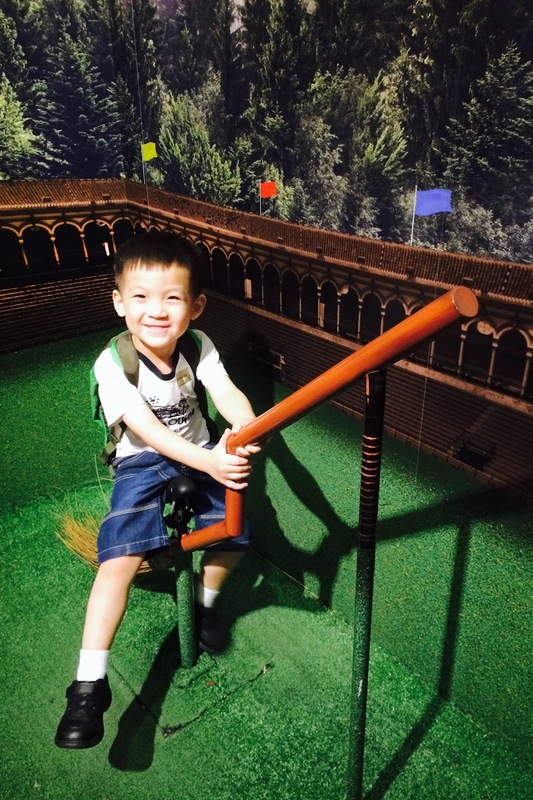 My tween was especially delighted with the Harry Porter-themed staircase and room. 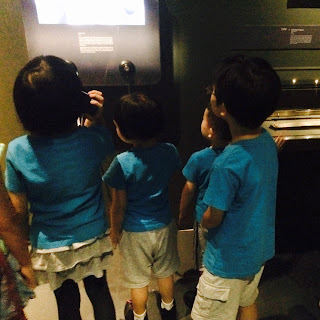 But their favourite of all was the room about chickens. 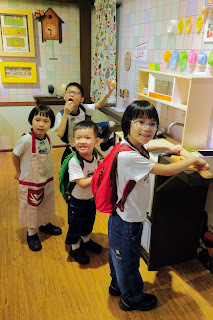 They spent more than an hour taking turns to role-play as the chicken farmer, egg-seller, delivery personnel and chef. 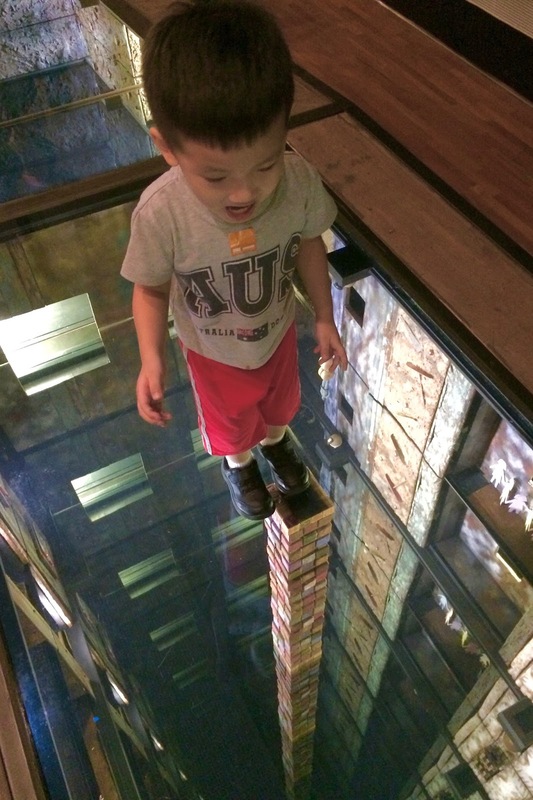 This was by far the children's favourite museum and we spent almost an entire day there. 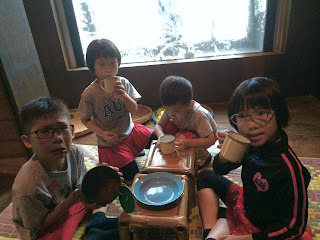 I even had to coax them to leave for dinner! LOL That's perhaps the reason why it was incredibly crowded. 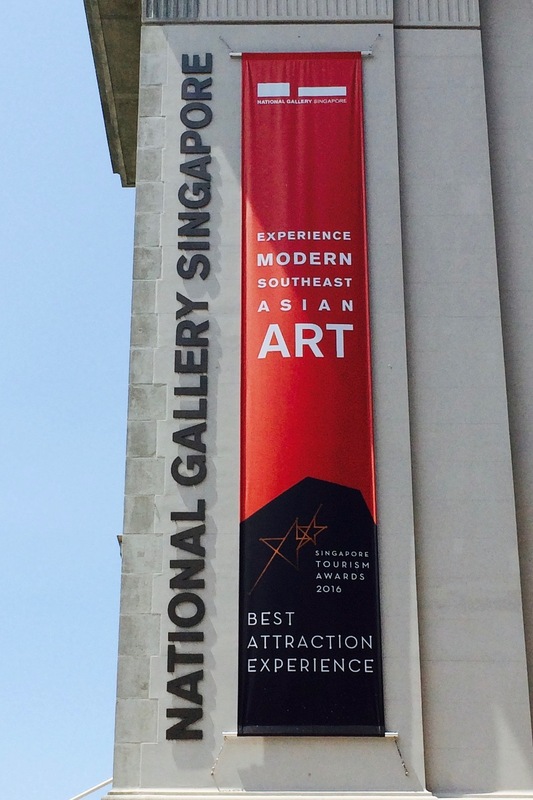 Many of the exhibitions had long queues. 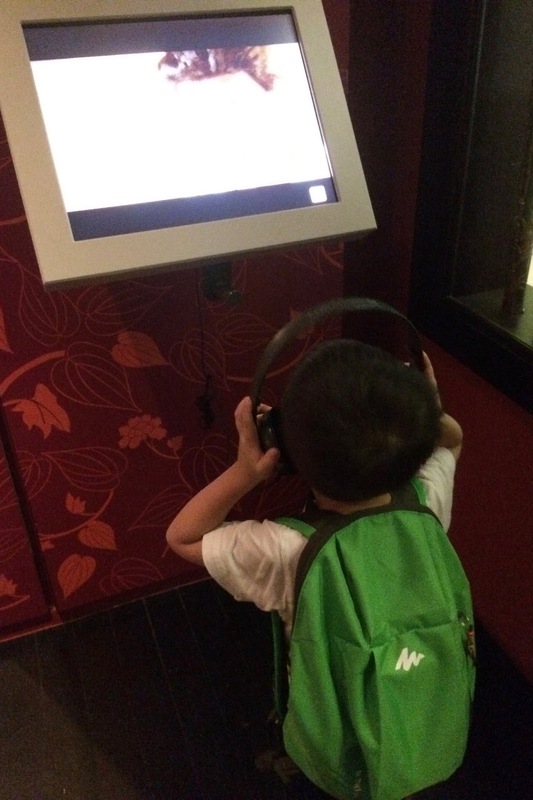 Well, at least, we managed to go to all the places that we were interested in. Thankfully, they were quite happy to role-play in an Indonesian hut they found and played there for a while. The highlight of the place was the "Ghost Net of the Ocean" where there were numerous sea creatures made of fishing nets. 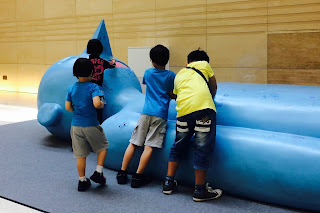 The kids kept asking me to take photos of the artwork. And thus, we ended our week of intensive museum-hopping, a first-time-ever experience for us. It was unfortunate that the Daddy couldn't join us for any of the trips due to work commitments. 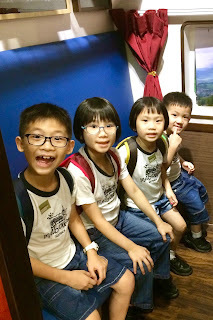 I can only say that God has indeed graciously given me the supernatural strength to endure the exertion of traveling with the kids via public transport and tons of walking around. 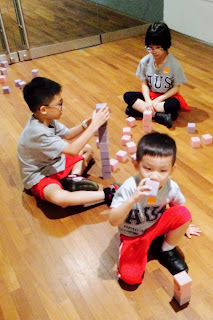 My knees ache from being on my feet for too long. My patience has worn threadbare thin though, due to the persistent disobedience of the two "sinister sisters". 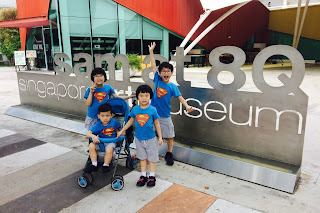 I do think that it would have been a lot easier if I had only brought along my boys. Quite the opposite of the norm that my girls are giving me most of the trouble, I know, right?